Big Shopper - Express Corporate - Promotional Products - Delivered Fast! 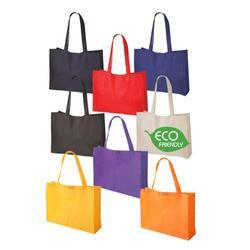 Environmentally friendly, 110g non-woven, coated water resistant polypropylene shopper tote with a Velcro closure. Reinforced cross stitching on handle attachment with 750mm handles. Price includes a one colour print.